Business Lines – Metals House Inc.
is the trading of physical gold and silver. We purchase dore bars, bullion, bulk scrap jewelry, and minted gold and silver bullion coins globally. We verify all precious metals purchases of dore and scrap, then refine and ship good delivery bars. We supply minted coins and good delivery bars to our clients throughout the world. A Dore (or doré) bar is a semi-pure alloy of gold. Once formed, the dore bar is transported to Metals House where it is assayed, to determine its purity. Once the purity has been established, Metals House will purchase the dore bar, then deliver it to a refinery for further purification into 0.995 good delivery standard gold bars. Dore is sourced in Gold producing countries, refined in Dubai or Switzerland and delivered to either Bullion Banks or clients. 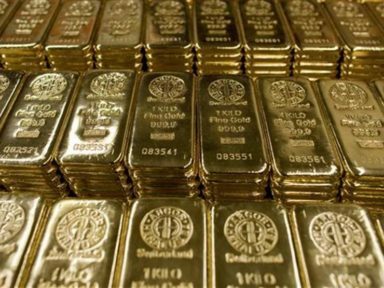 The standard gold bullion bar held as gold reserves by central banks and traded among bullion dealers is the 400-troy-ounce (12.4 kg or 27.337 lbs or 438.9 ounces) Good Delivery gold bar. 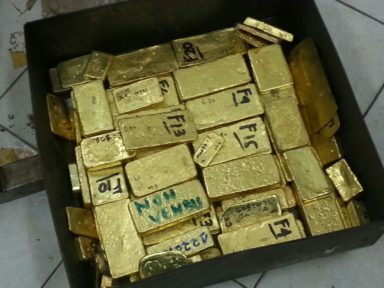 The kilobar, which is 1000 grams in mass (1 kg or 2.205 lbs or 32.15 troy ounces), is a gold bar that is more manageable in size and weight and is used extensively for trading and investment. Bullion is sourced through trading houses and Bullion Banks and delivered to clients. 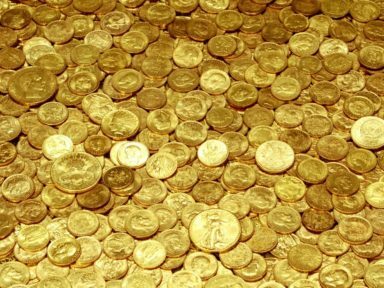 Gold bullion coins are a popular choice for investors and are purchased as a store of value or an investment. The most common Gold bullion coins currently minted are the one ounce 99.99% fine Canadian Gold Maple Leaf and the one ounce 91.67% fine American Gold Eagle. Both the Gold Maple Leaf and Gold Eagle coins are also available in various weights which are fractions of 1 troy ounce. Coins are sourced from authorized dealers for the Canadian Mint and the U.S. Mint and delivered directly to clients. 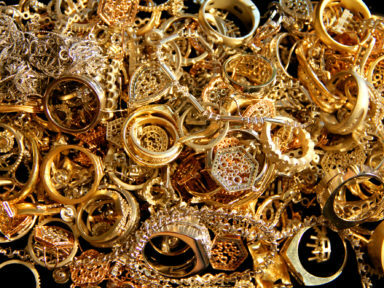 Precious metals recycling is an increasingly important source of supply for jewelers and refiners. The most commonly recycled precious metals such as gold, silver, and platinum group metals have a high market value in any form. Since the precious metal has been previously refined, it can be processed into new bars or jewelry far more efficiently than can similar sources of metal from mining operations. ​Scrap metal is sourced from local and regional jewelers, refined in Dubai and delivered to Bullion Banks and clients. Silver bullion bars are produced in a variety of sizes. COMEX and LBMA good delivery bars are 1000 oz troy bars. These bars have a purity of 999 fine, weigh 31 kg (about 68.6 pounds avoirdupois) and vary about 10% as to weight. 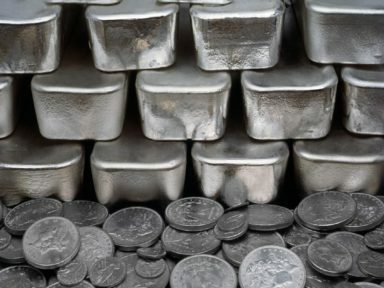 Other than odd weight retail bars, silver bars are also commonly produced in 100 oz troy bars, 1 kilogram bars, 10 oz troy bars and 1 oz troy bars. ​Bullion is sourced through trading houses and Bullion Banks and delivered to clients. 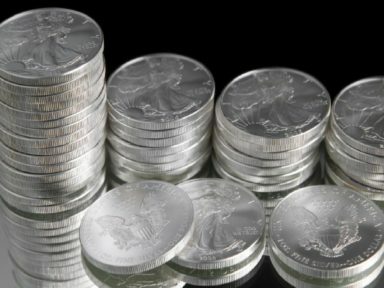 Silver bullion coins are one of the most popular choices for investing in silver today. The most common silver bullion coins currently minted are the one ounce 99.99% pure Canadian Silver Maple Leaf and the one ounce 99.93% pure American Silver Eagle. Both the Silver Maple Leaf and Silver Eagle coins are legal tender, but their intrinsic value is far greater than their face value.